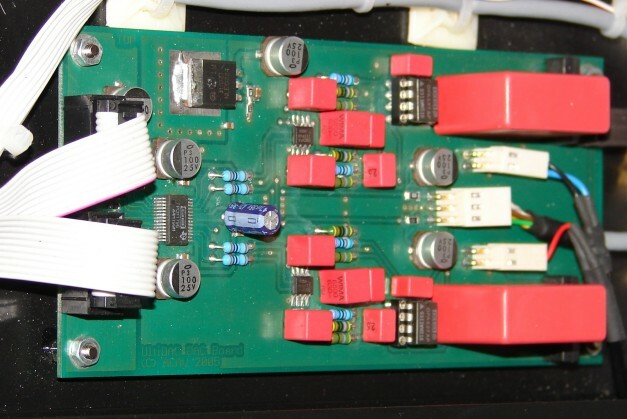 The UltiDAC is Low Noise and Low Distortion Digital-to-Analog Converter. It has 6 Inputs with coaxial S/PDIF connectors and one optical Input (Toslink). 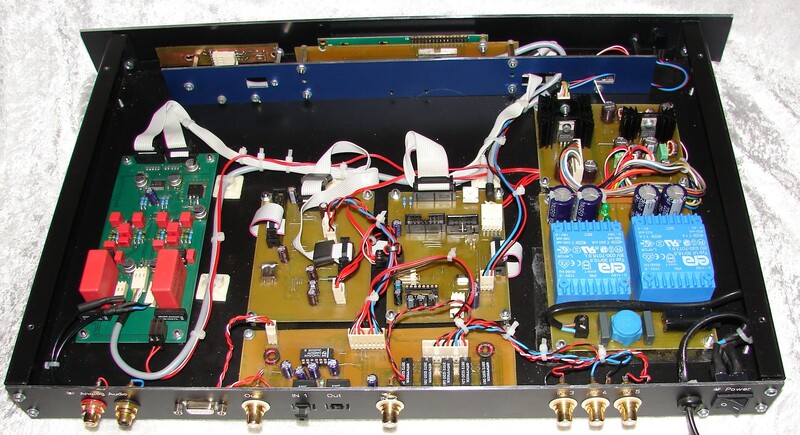 All Inputs are galvanic isolated from the chassis ground by a torroid transformer. For highest performance even with jitter in the received clock(s) there is a sample rate converter, capable of converts incoming samplerates from approx. 60 kHz down to approx 20kHz to one stable 48kHz Masterclock. Therefore jitter doesn't affect the performance. See also the jitter measurements for this detail ! The digital Audio and it's clocks are transfered to a PCM1796 DAC from BurrBrown/TI, one of the best Audio DAC's at this time. The differential to single ended conversion and a 2nd order low pass is done by two OPA627 Operational amplifiers. The higher noise of it's inputs doesn't affect the output level much, because the voltage level at the inputs of this instrumentation amplifier is high enough. The Ground reference of this stage is the output GND ! The UltiDAC is controlled by a MEGA128 AVR processor. It handles a 1x16 LCD (with blue backlight! ), 3 keys on the frontplate and a IR receiving unit. You can select one of the 7 inputs, setting the output Volume in 0.5dB steps and (!) viewing the current digital input Level as bargraph with 20 Segments (!) and as peak Level in dB. Especially for the bargraph a special LCD was made and is downloaded in the "free" 8 positions of the LCD controller. The Display backlight intensity is regulated by a PWM-Stage in the AVR Processor. For low power losses in the Power Supply the +5V and the +3.3V are regulated by a stepdown Converter. Keep in mind, that there are only approx. 40mm of height over all in this case !